Works with Standard, Titanium, or AC airMAXsectors. 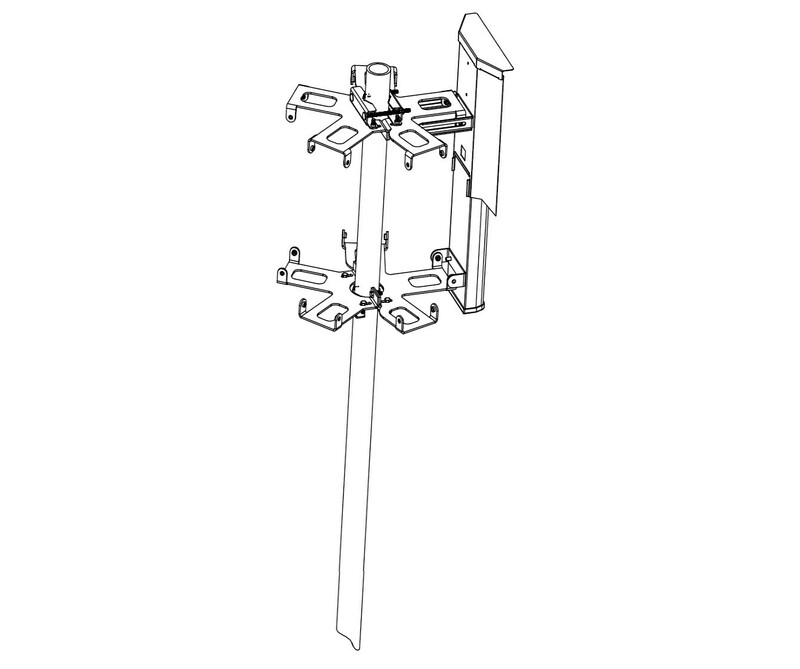 The cluster mount allows 45, 60, 90, 120 degree sectors to be placed on a single pole at the same horizontal elevation in a very tight cluster. You can mix and match 2.4 GHz, 3.65 GHz, and 5 GHz sectors. Use of RF Armor shield kits is required to prevent self interference as the sectors will be mounted very close together.